If you were looking for a managerial appointment greeted with apathy, derision and not a great deal of expectation, than you could look no further than Danny Wilson's appointment as Sheffield United manager in the Summer. Protesting in the car park, grumbling on the radio, muttering in their armchairs at home; it was hard to find a United supporter happy with the appointment of Wilson. Be it for his Wednesday connections, his recent success (or lack of) in management, the perception he was owner Kevin McCabe's holiday buddy and - for some - the fact that he wasn't Roberto Di Matteo. Despite a successful start to the season, I tried to reign in expectations. I decided that the time to make a decent initial judgement on his performance was the end of October. Fixtures against Charlton Athletic, Preston North End, MK Dons, Huddersfield Town and the other Sheffield team would go a long way to assessing Wilson's impact on the club. So how does he rate in his half term report? Supporters knew deep down that Wilson would have little room to manoeuvre in the transfer market, unless one or more of the high paid senior players were moved on. Yet, by the end of the transfer window, all of those players remained and it was young striking prospect Jordan Slew who had moved on, to fill one of the many empty seats in the Ewood Park stands. 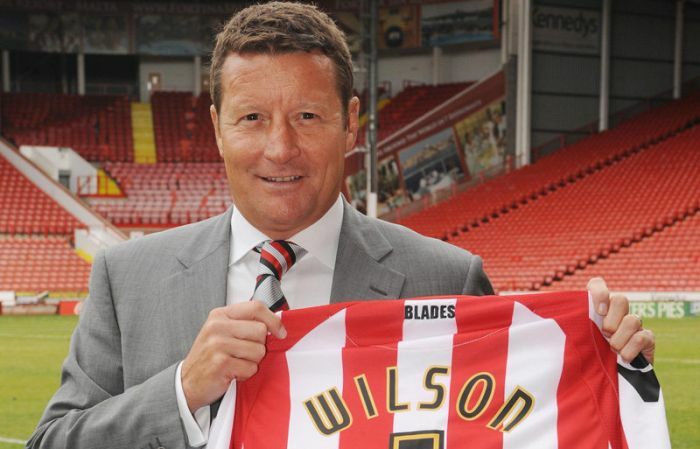 Wilson had little influence over the Slew sale and although the saving on salary, part of the Blades strategy to meet self-sustainability rules, was minimal, the £1m up front fee brought welcome financial succour. 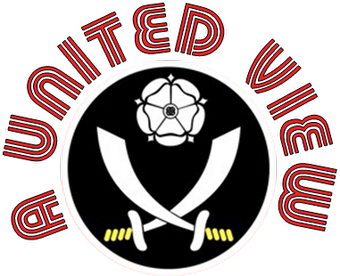 Fans were split on the sale; some describing it as another example of the Blades selling young talent too soon, others saw it as a good deal for an 18 year old with raw promise, but no guarantee of future development. With Slew's deal finalising late, in the final minutes of the window, Wilson had to act quick. His attempts to sign Rangers pair John Fleck and Kyle Hutton were ultimately thwarted by red tape and faulty fax machines, however it is difficult to see where those signings would have fitted in with the existing squad. With his initial signings in the Summer, Wilson focused on the wide areas which most fans would agree was an area for investment. To be honest we just wanted to see proper out and out wingers, especially following the departures of Jamie Ward and Mark Yeates. Too often we had seen central midfielders shuffled out wide to limited effect. Nathaniel Mendez-Laing arrived on loan from Wolves, following a promising loan spell at Peterborough last season, and ex-Liverpool youngster Ryan Flynn arrived from Falkirk. Unfortunately, despite brief appearances, neither have shown enough to warrant a continued run in the team. Flynn lacks pace to go past a man and looks particularly lightweight and easy to knock off of the ball. Mendez-Laing gained popularity with the fans; more through a deftness of touch on his keyboard (with his interaction on twitter) than for a deftness of touch on the ball. For me he hasn't used his obvious pace and strength enough. Both are young and maybe need time, Mendez-Laing is currently out injured which will set him back further. However what we needed were wide players who could come in and make an impact. Sadly, neither have and until the arrival of Matty Philips we have returned to playing Stephen Quinn and Lee Williamson out wide. Left back has been a problem position and with Andy Taylor, the only contracted left back in the summer, out until late in the year with a long term injury, Wilson acted quickly to tie up one of his former Swindon players Lescinel Jean Francois. The Haitian impressed in early games, but does have a tendency to daydream, losing awareness of his position at times. Suspension and injury has since seen Reading loanee Marcus Williams slotting in reasonably comfortably at left back, until a poor performance against Exeter. Ex Burnley midfielder Kevin MacDonald, impressed in pre-season friendlies and the free agent was brought in, impressing on his league debut against Brentford. Performances since have been patchy at times but, given the dearth of central midfield 'footballers' we have currently on the books, he will remain a first team fixture. Striker Chris Porter joined as damaged goods. Promising goal to game ratios at Oldham and in Scotland were followed by an injury-ravaged spell at Derby where Nigel Clough's parting comments suggested a player beset by mental problems as much as physical ones. Whilst 4 goals in 10 starts, in a rotating strike pool might appear okay, Porter is an extremely frustrating striker. With limited work rate, he is very much a box-finisher. That is fine if you create lots of clear cut chances, which we don't, and if he scores 25 goals a season, which he wont. The arrival of Matty Philips and Billy Clarke on loan from Blackpool have given new impetus to the Blades attacking performance. Comfortable interchanging positions out wide and down the middle, they are clearly better than League One standard. Clarke is particularly noticeable when dropping deep to be a catalyst for Blades attacks that he then finds himself on the end of. But for the arrival of these two; Wilson's grading on transfers would be much lower. The question is can we keep them beyond a month? If not, who can he find as adequate replacements. Overall, Wilson has plugged obvious gaps but we lack depth in certain areas - for example there is little defensive cover across the back four until three players return from long term injuries picked up last season. We are left with a surfeit of midfielders, particulaly when you look at last season's "Development Squad" where players such as David McAllister and Erik Tonne have impressed when used in the first eleven but, along with Danny Philliskirk, struggle to make the matchday squad. Wilson is certainly hampered by an inability to move on the high wage earners to free up money and squad places, but also the ridiculous decision by the Football League to revise the limit on substitutes back to five. One consistent throughout last season was that which ever of the four managers was in charge, the standard of football was terrible. Wilson was clearly tasked to change that and comments from Swindon Town and Bristol City bloggers pre-season gave me confidence that he was capable of achieving that. However, changing the style of play and getting the results required to get the fan onside is not so easy to achieve. One pleasing feature is that we attempt to bring the ball out of defence a lot of the time. This can provide some hairy moments and you can't help feeling that unless we get it wide, or to a striker coming deep we will just end up playing it around the defence and midfield, patiently waiting for the opposition to crack and lacking the creativity to achieve that ourselves. Wilson seems to like attacking full backs which is great when you are going forward. There is nothing like a galloping full back overlapping and delivering a great cross or finding himself attacking at the back post to get the crowd on their feet. However, this has made us susceptible on the counter attack and many is the time that Matt Lowton or Williams /Jean-Francois have been caught out of position, further exposing an already frail defence. As pretty as the football is we lack proper physical strength. Even the big players that we have; Maguire, Collins, MacDonald and Cresswell have a tendency to be knocked off the ball too easily and with a physically weak spine it is no surprise that we struggled against the direct, physical style of Wednesday and Huddersfield. The latter being surprisingly direct, but effective playing off Alan Lee and Lee Novak. Two players who we failed to handle all match. Wilson has generally applied a fluid system, looking like 4-4-2 on paper but adaptable to 4-5-1 and 4-3-3 during a game. The recent game vs Exeter City saw us playing with what appeared to be a 4-2-1-3 in more attacking phases with Stephen Quinn playing in the hole. Wilson has made no secret of the fact that he rotates his strikers and tactics according to the opposition. Generally, this variation has worked well and to reasonable success and 4th place in the league confirms that, yet it ought to be so much better. It is true that player error has played a massive part in us dropping vital points (6 points dropped in the last five minutes of matches, over three consecutive weekends), but to pass each instance off as unfortunate and unavoidable misses the point. It happens too frequently to be dismissed as unfortunate one-offs and seems to bely a more fundamental problem of organisation, communication and understanding. It doesn't appear something that Wilson is acknowledging or tackling. Then again, how do you tackle the problem if you lack a leader in your back four and don't have a vocal organiser? In the absence of Chris Morgan and Jonny Ertl there is no leader and no-one is available to give Maguire a rest. We are relying on a 17 year old goalkeeper, as we cannot trust one of our highest paid and most experienced players to do his job in goal. If there are no funds for Wilson to act, then fair enough, but at the minute he appears impotent or reluctant to act. Which is it? One final point around the anxiety when protecting leads relates to Wilson's substitutions. At times they have removed the impetus we had when taking the lead, probably causing us to sit deeper, invite teams on and anxiety spreads from stands to pitch. Interestingly neutral supporters I know who attended the matches against MK Dons and Exeter both commented how the fans' anxiety transferred to the players. The problem being that in both games you could question the need to make a change, nevermind the choice of players interchanged. The negativity increased as the crowd became more pensive. With such a bias towards home games you have to hope for a better outcome than that. Looking at it in more detail, the two victories have come at home to Brentford (2-0) and MK Dons (2-1). Draws with Wednesday at home and Tranmere away, saw us letting slip leads. Throwing away a two goal lead in the final 10 minutes against Wednesday being particularly painful. The two defeats, both at home, to Huddersfield (3-0) and Charlton (2-0) were again full of naivete at the back and mistakes. To be honest we were looking the better side against Charlton until lacklustre marking and a horrific defensive error cost us two goals in two minutes and there was no way back. Huddersfield was a closer match than the margin of defeat suggested, but again we are failing to pick up the points required at home. I think fans appreciate Danny's honest, straight-forward approach when discussing performances. Too often in the past we have been treated like idiots as managers try to tell us how well we have played and how unlucky we have been, much to the derision of supporters who viewed the performance as unacceptable and lacklustre. Whilst lacking the bluntness shown by Micky Adams, who often let his emotions and frustrations take over, you see a considered and thought through opinion. He doesn't try to mask inadequacies and neither will he make promises he knows he cannot keep. Whilst other managers in the division seem to want to provide soundbites for attention, Wilson quietly goes about his business in a positive and approachable manner. As with his dealings with the media, Wilson and, to be fair, the club have been quite savvy in their dealings with the fans. With fans interest groups now having a forum with directors and senior management, supporter forums taking place which Wilson has attended, the club has made significant improvements in re-connecting with a disenfranchised fanbase. It says a lot about Wilson that he was willing to meet with the car park protesters baying for his blood on his appointment and has continued to interact since. Certainly the club's improved social media prescence helps, with Wilson's press conference comments shared with the fans as it happens. You hear a lot more from Wilson than previous managers. Or maybe you hear less in quantity, but more in terms of pertinent comment. There will be those who will never accept Wilson. There are those who are just waiting for a significant slip-up. I for one think he could do little more at the moment in terms of fan engagement, without distracting him from his primary task. This may seem a harsh mark for a manager whose team is sitting 4th in the table and 4 points clear of 7th. Expectations were not high at the start of the season and I expected us to finish in the top half, but outside the play offs. Despite having what must be the highest wage bill in the division, most supporters expected at least two or three senior players to move on. Combined with the disruption caused by new players being integrated and the imposition of a new style of play this would mean a season of consolidation. With those expensive players largely in situ, I can only assume potential suitors are deterred by prohibitive salaries, I think 4th is where we should expect to be. The drop in standard from the Championship has been notable and it is only our own failings that have stopped us achieving a higher position. There is still plenty for Wilson to work on and where we end up this season will largely depend on what he has to work with in terms of a squad come the end of January and an ability to wheel and deal in the loan market to provide adequate cover when required. Wilson's time at Swindon turned sour when some of his better players were sold on. He needs to ensure the same doesn't happen at Bramall Lane. Good article. the tone captures the mood of many Blades. You get the feeling that Wilson will always be 3 games away from people calling for him to be sacked regardless of his success on the field. I think you are a little harsh on the signing given the budget there are no guarantees and so chances on players have to be taken and credit must be given for the brief cameos of the Blackpool pair.